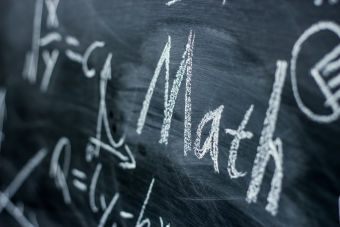 Travis T. asks: Why do Americans say “math” and other English speaking countries say “maths”? Aluminium or aluminum, zee or zed, and removing u’s from certain words or not- among the many discrepancies between American and British English, perhaps none conjures as much religious fervor as math vs. maths. Well, really neither is technically more correct than the other. It’s all just language and conventions different groups of people want to use. At the end of the day, language is all about communicating effectively and the rules that surround it are meant to serve that end, not language serving the rules and conventions, contrary to what many an individual who refuses to accept the evolution of language might otherwise try to have you believe. As nobody is likely to get confused at all what someone is saying when they say math or maths and saying one or the other is the accepted way to do it among two rather large groups of English speakers, the idea of saying one is definitively right and one is wrong is a little rich. But that’s not terribly interesting. So let’s stoke the fires a bit and see if we can’t shed some light on how this particular difference between American and British English came to be. To begin with- which was first, math or maths? It turns out, while you’ll often read that the math lovers of the world win this one, this isn’t actually correct, though it is true that even in the UK it’s not been until the last half century or so that saying maths was more common than math. In any event, in these cases, the apostrophe simply functions as the placeholder for the missing letters between the math and the “s”. It should be noted here that in all these early variations of math, maths, math’s, it’s not thought people actually pronounced the abbreviations this way, instead just using it as a short hand way to write mathematics, which would then be spoken fully, similar to how you’d say “Professor” rather than “Prof” when encountering the abbreviation “Prof.” as in the previous example. It wouldn’t be until around the mid-20th century that it appears people actually started to use math and maths as proper spoken words, rather than just a written abbreviation. Unsurprisingly, for no known reason, even though both were used on either side of the pond for a time, the “math” version of the abbreviation ended up being more popular than its plural-sounding “maths” in the United States, whereas eventually the opposite was true in the UK. However, it’s also noteworthy that it wouldn’t be until around the 1970s that maths would overtake math as the proper form in the UK. Before that, usage was a bit more mixed on that end of the pond. 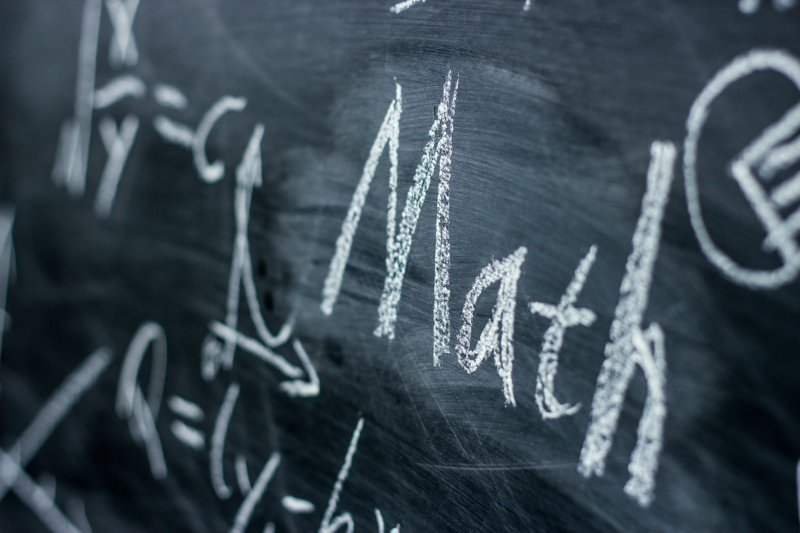 This all brings us to the argument often leveled at the pro-math speakers of the world as the definitive reason people should say “maths” and not “math”- that mathematics is plural, thus its abbreviation should be. But the main point being that mathematics is not a counting noun. While you might say, “I have two mathematics classes,” you’d never say, “I have two mathematics.” There is just the broad field of study known as mathematics, similar to how we have physics, linguistics, economics. Despite all this, particularly when querying humans of the British persuasion, folk-etymology tends to lead said individuals to assume that, despite their own usage demonstrating the contrary, mathematics must be plural because of the trailing s.
But unfortunately for the “mathematics is plural” crowd, other than a few isolated instances in very recent times (likely stemming from the misconception that mathematics is plural), it’s long been the case that mathematics has been almost universally treated as singular in common usage. You might at this point be wondering if mathematics is not plural, how did that “s” get there in the first place? While there is some debate here, this seems to have come about owing to a common convention around the time mathematics popped into English where it was en vogue to use a plural name for different fields of study, such as economics, linguistics, physics, acoustics, etc. This practice seems to have been adopted borrowing from the related terms in Ancient Greek, like physika or, in this case, mathematika. But at the end of the day, both math and maths are just abbreviations for mathematics that turned into proper words, with some choosing to go with the contracted version of the abbreviation instead of the shorter “math” and it just sort of catching on one way or the other from there. Neither math nor maths is more correct than the other in the general case, though if you happen to be writing for an audience that you know predominantly uses maths, you should probably go with that, and vice versa, unless you’re just one of those people who like to watch the world burn. And either way- god help you if you’re a British person working with many American script writers and talking to a world-wide audience on a platform particularly known for commenters with no filter… The problem of math vs. maths is just the tip of the iceberg for that sorry individual. Do Words Get Removed from a Dictionary When People Stop Using Them? Has a Major English Dictionary Ever Spelled An Entry Name Incorrectly? Long before math was being used as an abbreviation for mathematics and then becoming its own proper word, in Old English it meant “mowing”, or more aptly, cutting grain or other such crops. Mathematics didn’t actually come to mean just arithmetic until around the late 18th to early 19th century. Before that, it included many fields of study, including astrology, music, arithmetic, and even optics. This difference in usage to the present definition is the root of the misunderstanding about St. Augustine advice that Christians should steer clear of mathematici. He wasn’t referring to those studying mathematics as we think of it, but rather astrologers. At my university, we have an Engineering Physics department. When talking, it is commonly abbreviate to Eng. Phys, pronounced as Enj Fizz. Just think that’s kind of interesting and it’s at least one data point for this topic! Dr Curt Nicol D.D. Ph.D. I always find it odd when someone does a post on grammar, yet doesn’t capitalise the word “God”. I actually use a mix of British and American spelling, because it turns out, and you could do some research into that, that my grandmother was not taught to spell the way we spell in the United States now, and my mother picked up on that. But there are some things about me that are American, I prefer to say math over maths, as I have a very difficult time pronouncing the ths sound. With regards to mass nouns, I mean I would say the Beatles were an English rock band, but it would be completely correct to say The Beatles was an English rock band, although it would sound wrong to my ears. I apologise for any grammar mistakes, made here, as I am not wearing my glasses, and it’s almost 2 a.m.. He who knows that he knows not, is a sage. When I went to school, we had three subjects: arithmetic, algebra, and geometry; all under the heading “mathematics”. So there’s a plural, right there. Yes plural branches (arithmetic, algebra, geometry) but only one tree (mathematics).